I like to keep in mind how the projects I work on will empower my Company’s sales force and improve sales. 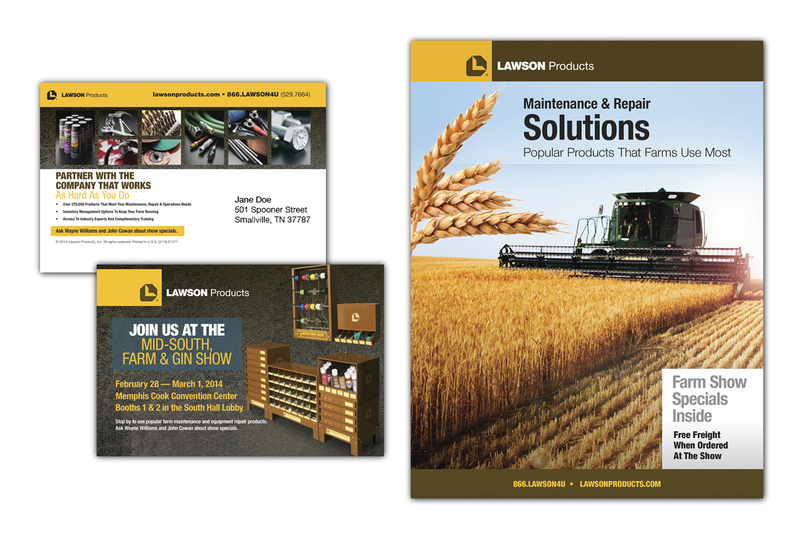 One example this year was that I helped create a flyer and direct mail piece to promote Lawson Products’ booth at the 2014 Mid-South, Farm & Gin Show. Later, the Lawson Products representative who presented at the trade show reported back to me that orders were made specifically because of the flyer and postcard designs. He said that sales made during that show were some of the highest they’d had in years. In fact, we learned that even customers that didn’t attend the show, but had received the postcard, had called in to place orders. They saw the image of the wire rack and realized the breadth of product offering.